A team of researchers in DCU have been granted €4.6 million as part of a project that will help support ‘The Internet of Everything’. The project is EU-funded and the team at the Irish Centre for Cloud Computing and Commerce (IC4) in the DCU Business School will be working in conjunction with eight other partners across Europe. Other partners include Ulm University (Germany), Umea University (Sweden), IMDEA Networks Institute (Spain), Tieto (Sweden), SATEC (Spain), Intel (Ireland), Linknovate (Spain), and British Telecom (United Kingdom). “Cloud computing historically focused providing shared access to virtualised hardware, platforms and software applications on demand,” explained Theo Lynn, a RECAP principal investigator at IC4. “All these connected devices generates a huge amount of data and this data puts a strain on the infrastructure underlying the cloud. This impacts scalability and ultimately customer experience. RECAP, as a project, sets out to make the existing cloud infrastructure more efficient and scalable,” he outlined. The €4.6 million will be divided among the different partners depending on their management, research and development and dissemination and exploitation of tasks. Lynn also expects that the project will benefit DCU, both directly and indirectly. “The funding allows us employ and retain postgraduate and post-doctoral researchers and thus building the research capacity of the university and develop their careers,” he explained. The research is also one of a very competitive field and winning the funding is a major boost to the reputation of the university. 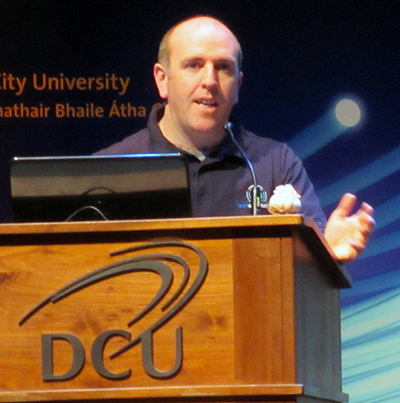 Research publications and journals will also boost DCU’s international reputation. New discoveries made during the research will be integrated into the student curricula, which should benefit the students, as well as attracting new ones in the future.